Hello. I've been tagged - in an edublogger sense - by two fellow bloggers : Charlene Chausis in Illinois and Kenneth Y T Lim in Singapore. Thanks for the tag and I'll try to meet the challenge. If you listen to the podcast it has some additional information about the list not included in the blog post. It's not really about education, technology or history but is was fun to create. First, I have to post the rules. 2. Players start with eight random facts / habits about themselves. 3. People who are tagged need to write in their own blog about their eight things and include these rules in the post. 4. At the end of your post, you need to choose eight people to get tagged and list their names. 5. Don't forget to leave them a comment telling them they're tagged, and to read your blog. 1. I was in 4-H as a boy growing up in Nebraska and my entomology project (bug collection) made it to the state fair several years in a row. 2. My three favorite movies of all time are Hoosiers, Shawshank Redemption, and Fletch (on the podcast I forgot about Shawshank and instead listed School of Rock, which would be my #4). 3. My first computer was a Commodore 64 with a cassette tape drive that I bought as a 6th grader with money I earned "walking beans" that summer. 4. For the past 17 years I have had a chocolate malt on my birthday. 5. While in high school and college I had my own lawn mowing business - including taking care of the two cemeteries in my hometown. 6. 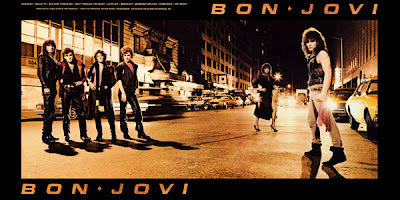 My first concert was Bon Jovi in Omaha, Nebraska - Skid Row opened up for them - gotta love the Big Hair Bands of the 80's! 7. In my younger days as a high school basketball coach I loved to work at basketball camps across the country - North Carolina (Dean Smith), Kansas (Roy Williams), Michigan (Steve Fisher) and Kentucky (Rick Pitino). 8. My favorite place in the world to go on vacation is Glacier National Park in Montana where I proposed to wife at sunset on the shore of Lake McDonald. Hello. Today's podcast has two topics - the winners of the Listener Appreciation Book Give Away and the blogs of two Liberty teachers who have chronicled their summer adventures. First the winners of the book drawing. To help celebrate the 100th podcast in July and the two year anniversary of the podcast. I had listeners from around the country enter and my daughter picked two names out of the hat. The winner of the author autographed copy of Guerrilla Season by Pat Hughes is Sanjay from Flower Mound, Texas. The winner of the copy of Manhunt - The 12 Day Chase for Lincoln's Killer by James Swanson is Nancy from Chillicothe, Ohio. Congratulations to both winners and thanks to everyone who entered. I plan to do another book give away during the holidays. The podcast also gives some background information on two teacher blogs that I urge you to check out. I work with and admire both of these Liberty Public School teachers and think they have done an awesome job of sharing their summer adventures. 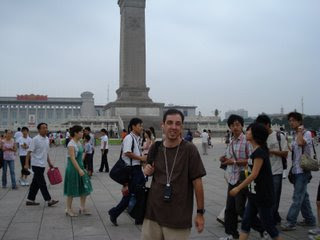 Lance Huebner is a special education teacher at South Valley Jr High and recently traveled to China and spent 11 days taking a ton of pictures and blogging about his experiences. His My China Trip blog allows to you to visit China through his eyes. Lance also has a blog named Changing the Label in which he focuses on the use of technology in the special education classroom. Marty Kelsey is a 5th grade teacher at Manor Hill Elementary. Marty has had a busy summer including his marriage, two trips to Florida, grad classes in Colorado and visits to a Civil War battlefield. 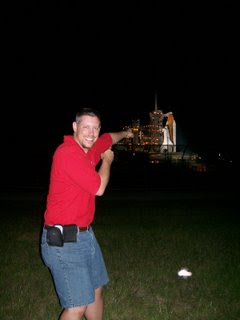 This past week Marty blogged about his incredible experience in Florida as a guest of NASA to see the Space Shuttle launch. His blog Room 42 Daily has some great first hand accounts of a behind the scene look at a shuttle launch and great pictures. You can also check out the other online content from both Lance and Marty on the show notes including videos, podcasts, classroom sites, etc.